The heritage of the 5* Warmbaderhof in Carinthia wins over its guests through its simple combination between elegance and contemporary chic. At the source of healthy life – experience the quality, feel the healing hands of the highly skilled therapists and masseurs. Be pampered from head to toe with luxurious body and beauty treatments. A great choice of daily sport`s activities are available to our guests. Simply revive and enjoy. In the evenings, when you already think the day has given it all. A restart, with the finest cuisine. 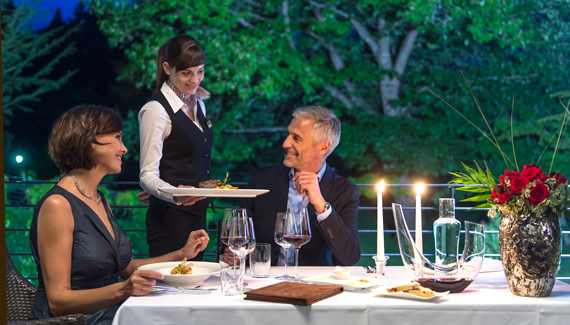 Our head chef Jürgen Perlinger and his team create the most delicious meals incorporating innovative flavours and fresh products of the Alps-Adriatic region. 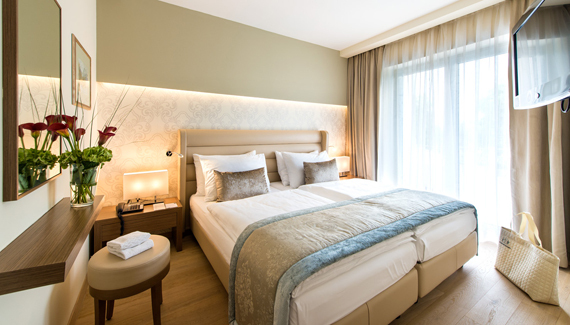 Health and prevention have always been a key to success in Warmbad-Villach and nowadays it becomes more and more a key decision factor when selecting a well-being holiday. Here in the VIBE Therapy of the Warmbaderhof, four modules are on offer to help to get well and to improve its own healthiness. Around these modules there is a grown specialisation and a profound knowledge in the VIBE Therapy of the Warmbaderhof. The healing hands and the technically highly skilled therapists and masseurs are the heart of this department. Manual and alternative as well as classical therapies are used. For example, the cranlo sacral therapy, an alternative therapy form which improves the influence on the body and activates the self-healing process. 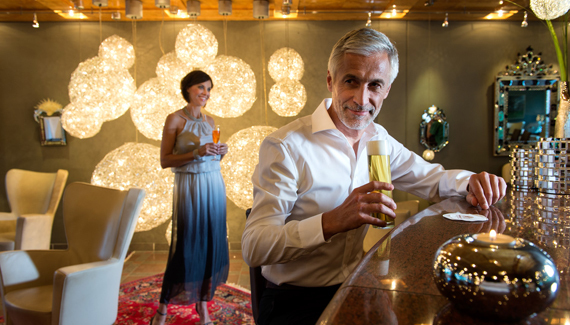 The arrival experience at the Warmbaderhof is bespoke. During an initial session, a combination of analysis and treatment, together with your private therapist you decide depending on the length of your stay, which therapy forms, massages, treatments are suitable and are most effective. 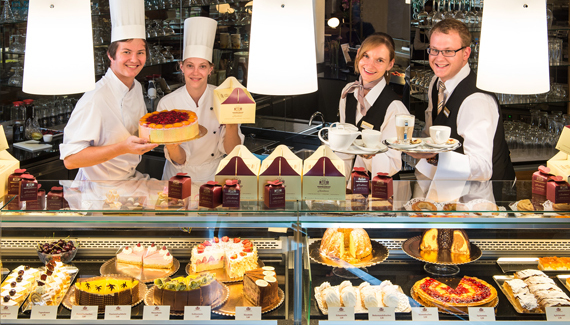 To round up the therapies, massages and treatments the Warmbaderhof offers different types of nutritional assistance. We suggest starting with an appointment with a qualified nutritionist. From there you can establish, if the treatment should be purifying, detoxifying, to drop weight or to keep in shape after Montignac, nutritional change, nutritional plans (start at the hotel and continue at home), and much more. One of the key elements in Warmbad-Villach is the healing thermal water. Unusual yet unique: to bathe directly above the most abundant spring in the “Thermal-Uquellbecken”. Whose water emerges from the depths of the mount “Dobratsch” and the thermal water in the pool renews itself completely every three hours. An unique characteristic not only in Warmbad-Villach but also all over Europe. World War, to one of the finest excellency baths. Members of the ruling family, the King of Saxony, archdukes, high military and civil officials enjoyed the recreation in the aristocratic surroundings. Warmbad survived reasonably unscathed the chaos after the First World War. When Colonel George Teppner – wedded to Ms Lina Feldner – 1921 died, his daughter Gertrude took, a now-married Tschamer, ownership of the family run business. By 1943, the baths and the hotel were still operating despite the Second World War. One hotel was seized as an alternative hospital. Which was not too bad, since the entire land was protected. Also a marriage was forged – the head of the hospital, Dr. Adolf Lukeschitsch, married Helga Tschamer, one of the two daughters of the founding family, and the second daughter Gerda with her husband Kenneth Elliott, a British officer, took on the first expansion of the Josefinenhof. It was decided to expand the Warmbaderhof into a modern hotel and health centre. One additional building was added and the hotel was positioned as a 5 star hotel. The Warmbaderhof has become a popular spa and resort hotel for numerous federal presidents, politicians and celebrities from the arts and culture. More than 70 million Euro have been and are still invested in the resort. Flagship of the tourism infrastructure in Carinthia is the new “KärntenTherme”, which replaces the old thermal bath in a completely new, revolutionary architectural language. At the same time the Thermenhotel Karawankenhof has been completely rebuilt. 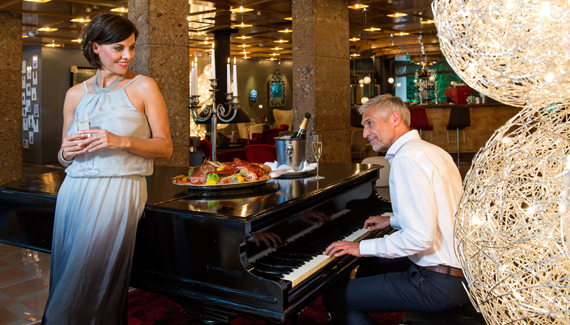 Together with the Josefinenhof, purchased in 2004, the Karawankenhof rounds up the selection of hotels at the ThermenResort Warmbad-Villach. Still the resort is run as a family business, now in the 7th generation. Prim. Dr. Georg Lukeschitsch and his sister Mag. Susanna Mayerhofer introduce their children Dr. Nina and Wolfgang Lukeschitsch and Mag. Karina and Martin Mayerhofer to the company. They are supported by the external manager DI Oskar Seidler since 2003. Visions and further ideas are in large numbers present, so the Warmbader families can continue to operate with full force to further development one of the leading companies of Carinthia – this is for the benefit of all guests, all employees and their families and last but not least for the benefit of city and the region. For over 40 years, we are a proud bearer of the Austrian State coat of arms. The Warmbaderhof is run by one and the same family for the past 200 years. Nestled into a 20 acre natural park, meadows and woods, we engage our guests with quality and commitment. 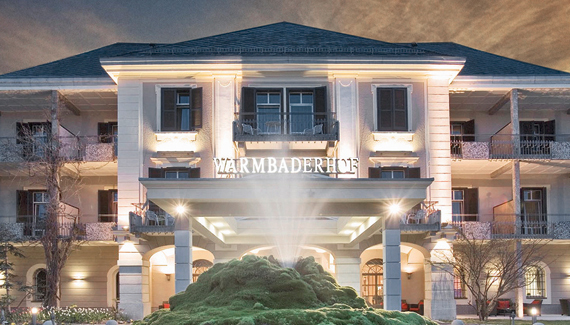 The Warmbaderhof as well as the ThermenResort Warmbad-Villach is a grown institution for centuries. The success of the Spa Resort lies in the combination, medicine & tourism and everything has evolved from the 20 million litres of thermal water that gushes daily from the depths of the mount “Dobratsch”. The 5 * hotel has been awarded several times. Such as “Das Kleine Restaurant” im Warmbaderhof. 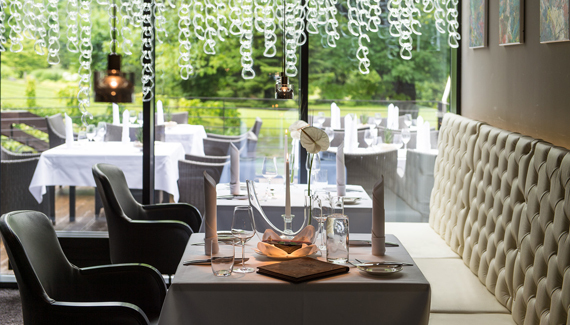 Awarded by Gault Millau for more than 30 years, it is one of the smallest but finest restaurants in the country. Our task is now, being in the 8th generation, to continue with full strength to further develop one of the leading companies in Carinthia, this is for the benefit of all our guests and the number of employees and their families and last but not least for the benefit of the city and the region.